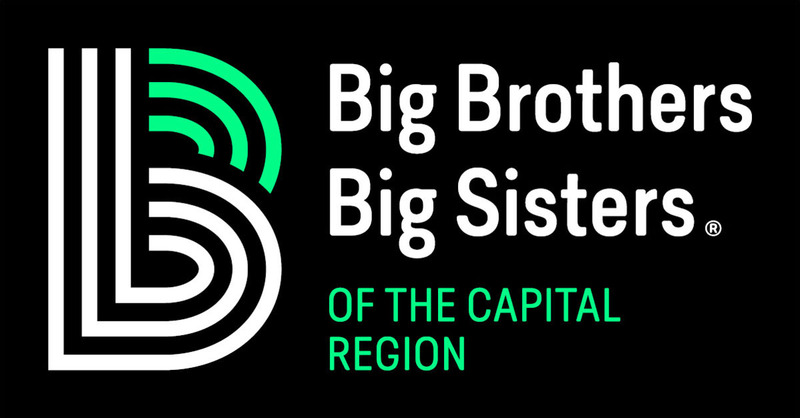 Here’s the Scoop from Big Brothers Big Sisters of the Capital Region! 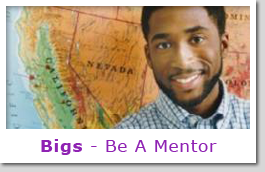 January 9, 2019: Good Day PA featured our Bigs in Blue program and highlighted our new logo for National Mentoring Month. Derry Township Police Chief, Garth Warner joined our staff on the show. WATCH NOW! December 13, 2017: Harrisburg High School Students, Capital BlueCross and Big Brothers Big Sisters of the Capital Region celebrated one year of going “Beyond School Walls!” Read about it here. November 6, 2017: A very special Big Sister was named The Sentinel’s Teen of the Week! Read about this extraordinary young lady and the various ways she’s having a BIG impact on her community. 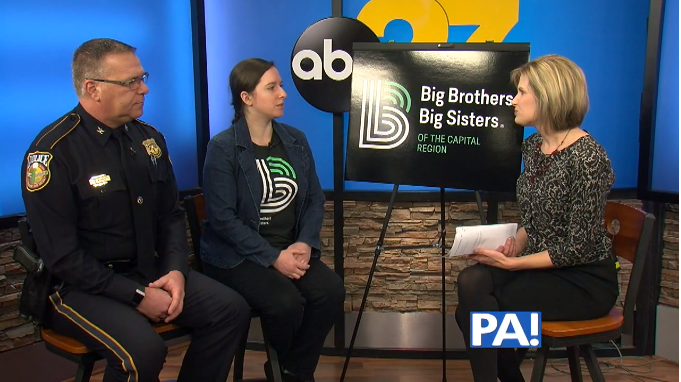 October 29, 2017: CBS 21 was on hand with Big Brothers Big Sisters to discuss what Bigs in Blue means for youth in Carlisle, Pennsylvania. 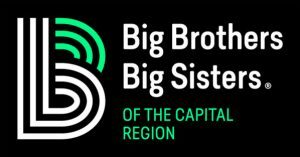 October 27, 2017: Carlisle Borough Police Officers are joining forces with Big Brothers Big Sisters for Bigs in Blue! 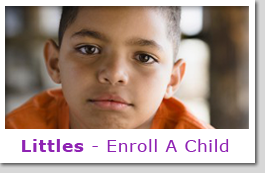 Click here to read more about the partnership, kicking-off on October 27. We took Harrisburg “Over the Edge” this October! Thankfully, many were willing to help share information about the event and the reasons why BBBS was “going BIG.” PennLive gave readers a glimpse at what the event was like, from the roof to the ground. During “Over the Edge,” the Pennsylvania State Police kicked off the first Big Brothers Big Sisters Bigs in Blue partnership with a state police organization in the entire country! Read the PSP take on the program launch here. October 12, 2017: Our Lebanon County Office partnered with Juntos de Lebanon, the City of Lebanon, HACC, and the Lebanon Valley Chamber of Commerce for the 3rd Annual City-Wide Hispanic Gala! Click here to read about the Gala and check out this fantastic photo gallery from the Lebanon Daily News. All funds raised benefited scholarships for Lebanon-area students. May 2017: Even before officially launching the Bigs in Blue partnership, the Pennsylvania State Police displayed their support of Big Brothers Big Sisters and dedication to helping Pennsylvania children. The PSP gave children in the Big Brothers Big Sisters programs a sneak peek at the day in the life of a State Trooper.